Snap your receipts to collect tokens and view all of your receipts in one handy place. Exchange your tokens to claim rewards from your favourite retailers. The Shoppix App is available from the App Store and GooglePlay right now! Kantar Worldpanel (herein referred to as “we” or “us”) which operates Shoppix, recognises that your privacy is important and that you have the right to know what information we collect about you, how the information is used and your choices with regard to you giving us your information. We appreciate you consenting to give us your information, and in return we commit to protecting it as best we can. Kantar Worldpanel are in the business of operating, administering, and providing market research and rewards, such as the Shoppix Rewards, to help consumers receive value back when they shop and to help brands and retailers better understand consumer behaviour. This Policy applies to both current and former participants in Shoppix and the information collected from them by Kantar Worldpanel and its Group Companies. Please make sure that you read this Policy carefully. By accepting the Shoppix Terms & Conditions, downloading the Shoppix App, registering or participating in Shoppix, you consent to us using your personal data in the ways described in this Policy. Where you provide information relating to other members of your household, they must give their consent to the use of their personal data in the ways described in this Policy. We strongly recommend that any members of your household review this Policy before any of their personal data is provided to us. When and what information does Kantar Worldpanel collect? Kantar Worldpanel receive and store the information you enter on the Shoppix mobile application (including information contained in receipts that you submit) or you otherwise provide us in any other way, such as your demographic information, mobile phone number, consumer habits and email addresses. In some cases, we may ask you to send video, audio or image content to us. That content may include personal information, for example in the form of an identifiable image of you. When you visit one of our websites or click on a banner advertisement on a third party’s website, Kantar Worldpanel may send one or more cookies to your computer or other device from which you accessed the website or advertisement. Third parties may also share information with us (such as the fact that you have been shown a particular advertisement) based on cookies that they send to your computer or other device when you visit other websites. You can set your browser to refuse all cookies or to indicate when a cookie is being sent. However, some of our website features or services may not function properly without cookies. You can set your browser to refuse all cookies or to indicate when a cookie is being sent. However, some of our website features or services may not function properly without cookies. Kantar Worldpanel may also collect the geographic location of you and your device, where you have given us your consent to collect such information. When you first download Shoppix, you may be asked if you agree to your location information being disclosed to us. Shoppix includes an opportunity for you to opt-in to our e-receipt collection service which makes participation easier and provides you with extra Rewards. You do not have to opt-in to this service to continue participation on Shoppix and you can opt-out of it at any time. To opt-in to this service you will be required to grant Shoppix access to your e-mail account(s). Once access is granted, a third-party vendor will have access to your emails (including their content) and will be able to automatically collect information about purchase transactions from your email receipts including details of what was purchased, the store/provider from which the goods/services were purchased, the amount spent and the date of purchase. The third party vendor will do this by searching for specific search terms (such as names of known stores) in your emails. You will be able to browse details within the Shoppix app of the email receipts collected alongside details of the paper receipts you have submitted. You can opt-out of the email receipt collection service at any time and no more email receipts will be captured after that point. Uninstalling Shoppix will not necessarily prevent any further collection of email receipt information. You need to opt-out of email receipt collection or disable participation in Shoppix settings to stop collection of email receipt information. In both cases you would need to opt-in to the service again to start receiving the extra Rewards again. In the unlikely situation that you wish to recall a specific e-mail receipt from our collection service then this is possible upon request at Shoppix helpdesk. Further details of our e-receipt collection service and how to opt-in and opt-out is available here. The Shoppix application will present you with opportunities to complete surveys in which Kantar Worldpanel would like you to participate. Kantar Worldpanel will collect your answers to the surveys. We may combine information from third party data sources with other information to create and enhance profiles that are used as described in this Policy. For example, by looking at both web browsing activity and in-store purchases, our research may identify a consumer segment whose members view certain websites or advertisements when they are in the process of researching a product but are likely to make the actual purchase in a physical store. This data can help the manufacturer or seller of that product better understand where to find customers who may be interested in their products. We may use your personal data that we have obtained, directly from you or through a trusted third party, to enhance our or our customer's consumer segments, as explained above. We may use personal data in this way when clients or partners already have this information because it is usually the only way to match our profiles with those of our clients or partners. Although in these cases we permit these other parties to use your personal data to enhance their broader consumer segments, to which they then may target advertising, we prohibit these parties from using your personal data to target advertising to you individually. So in the normal course of your online activities, you may be a member of a broader consumer segment that sees particular advertising that your data helped create. When working with a third party (such as another data provider) to supplement your profile, we protect your privacy by having our partner sign a confidentiality agreement stating that they will not share your personal data with unauthorised parties. We instruct them to maintain the confidentiality, security and integrity of the information we provide and not to use the information for any purpose other than those we explicitly authorise. How does Kantar Worldpanel use your information? Kantar Worldpanel uses the information that we collect to manage your Account(s). For example, Kantar Worldpanel, its Group Companies use the information you provide us and the purchase information we collect to track, process and fulfil Shoppix Rewards you earn and to provide customer service. In addition, Kantar Worldpanel may use this information to keep you informed of new features and product developments as well as to provide more relevant offers to you. Kantar Worldpanel will do so by sending you emails, text messages or by sending you in-application notifications. We will publish summarised reports about Shoppix research. These reports will not personally identify you or members of your household. [These reports only include aggregated information, and never include information which could be used to identify you]. Kantar Worldpanel uses the information that we collect to develop, evaluate, improve and deliver our products and services. Kantar Worldpanel may use the information we collect to comply with national, state, or other applicable laws and regulations. Kantar Worldpanel also may use the information we collect to the extent we believe it is necessary or appropriate to enforce or apply our rights under our agreements with Registered Users, and/or to protect the rights, property or safety of Kantar Worldpanel, and its Group Companies, our Registered Users and others. How does Kantar Worldpanel share your information? Kantar Worldpanel shares your information with our Group Companies. These companies may use this information to show you tailored advertisements, combine it with other information that they hold about you, and aggregate it with other data in their possession to create market research reports. The information that Kantar Worldpanel shares with our Group Companies may include your information in a form from which you can be identified. Kantar Worldpanel may share your information (in aggregated form) with third-party market research companies who use your information to create anonymous market research reports based on the information we provide to them about you and information they collect from other sources. Kantar Worldpanel may also provide information to the Market Research Society for statistical or research purposes. Kantar Worldpanel may promote or offer contests, sweepstakes, similar promotional offers or surveys that may be co-sponsored by us and one or more other companies, or may be sponsored by other companies. Some or all of your information collected through these offers or surveys may be shared with the sponsor(s) or other companies indicated on the entry form, in the governing rules or on the survey, as applicable. Kantar Worldpanel engages other companies and individuals to perform certain services and functions on our behalf. For example, we may engage third parties to analyse data (such as information contained within images of till receipts or responses to surveys), provide search results and links (including paid listings and links), fulfil Shoppix Rewards you earn or provide customer service. These service providers are allowed to access and use the information Kantar Worldpanel make available to them only as needed to perform their functions and for no other purposes. If there is a change of control in Kantar Worldpanel (whether by merger, sale, or otherwise), your information could be included as part of that transaction and could be used by the purchaser within the same business or more widely within the purchaser’s own business, although it will still only be used in accordance with this Policy. Further, in the event that Kantar Worldpanel sell or buy any business or assets, your information can be disclosed to the prospective buyer or seller of such business or assets. Kantar Worldpanel may disclose information about you to third parties when we believe such disclosure is appropriate to comply with a legal requirement, such as a law, regulation, court order, subpoena or search warrant, or in the course of a legal proceeding. Kantar Worldpanel may also disclose your information as we believe appropriate to enforce or apply our rights under our agreements with Registered Users, or to protect the rights, property or safety of Kantar Worldpanel, the wider Kantar Worldpanel group, our Registered Users and others, including exchanging information for fraud protection and credit risk reduction. We have certain security measures in place to protect your personal data against loss, misuse, and/or alteration. However, no security system is impenetrable. Unfortunately, the transmission of information via the internet is not completely secure. Although we will take reasonable steps to protect your personal data, we cannot guarantee the security of your data held by us; any sharing with us is at your own risk.Where Kantar Worldpanel have given you (or where you have chosen) a password which enables you to access Shoppix, you are responsible for keeping this password confidential and not to share your password with anyone. This Policy may change and therefore you should review it regularly; see our archive page for a summary of the relevant changes. If we materially change this Policy, we will take steps to inform you of the change. We may do this through email or another appropriate method of contacting you. An Account is an account which you establish with Shoppix. A Registered User is an individual or entity that registers to be a part of Shoppix either through our website or a mobile application. Shoppix Rewards are the rewards that Kantar Worldpanel offer you as a Registered User of Shoppix. Any website that Kantar Worldpanel host or otherwise operate. A “cookie” is a small file containing a string of characters that is sent to your computer when you visit a website. When you visit the website again, the cookie allows that site to recognise you from previous visits. Cookies may store user preferences and other information. The Data Protection Act 1998 (the "DPA") gives you the right to access your information. Your right of access can be exercised in accordance with the DPA. Any access request may be subject to a small fee to meet the costs in providing you with details of the information held about you. b. wish to see or update the information we hold about you. Where you inform us that you no longer wish your information to be used in the manner set out in this Policy, this may impact your ability to continue as a participant of Shoppix. Further, if your information changes or if you have any queries about how we use your information, please let us know by contacting Kantar Worldpanel as set out above. a. On iPhone - press and hold the application until a cross appears in the left hand corner of the icon. Select the cross to delete the application. b. On Android - go to settings>applications>manage applications. Select the application and then select "Uninstall". Where information is transferred to a country outside the EEA, the laws of that country may not provide the same level of protection for information. In these cases, we will put in place measures to provide adequate protection for your information when transferred outside the EEA. We are TNS UK Limited, trading as Kantar Worldpanel. Our registered address is Kantar Worldpanel, Westgate, London W5 1UA (company number 3073845). Kantar Worldpanel, formerly known as TNS Worldpanel is part of the Kantar Group. The Kantar Group is a wholly-owned subsidiary of WPP Group plc. For further information, please visit www.kantar.com. Kantar Worldpanel receive and store the information you enter on the Shoppix mobile application (including information contained in receipts that you submit) or you otherwise provide us in any other way, such as your demographic information, mobile phone number, consumer habits and email addresses.In some cases, we may ask you to send video, audio or image content to us. That content may include personal information, for example in the form of an identifiable image of you. When you visit one of our websites or click on a banner advertisement on a third party’s website, Kantar Worldpanel may send one or more cookies to your computer or other device from which you accessed the website or advertisement. Third parties may also share information with us (such as the fact that you have been shown a particular advertisement) based on cookies that they send to your computer or other device when you visit other websites. Shoppix may invite you to opt-in to Shoppix Online, our e-receipt collection service which makes participation easier and provides you with extra Rewards. You do not have to opt-in to this service to continue participation on Shoppix and you can opt-out of it at any time. To opt-in to this service you will be required to grant Shoppix access to your e-mail account(s) including all historic emails held in your inbox and any subfolders. Once permission is granted, a third-party vendor will have access to all your emails(including their content) and will be able to automatically collect information about purchase transactions from your email receipts including details of what was purchased, the store/provider from which the goods/services were purchased, the amount spent and the date of purchase. The third party vendor will do this by searching for specific search terms (such as names of known stores) in your email. You will be able to browse details of the receipts collected within the Shoppix app alongside details of the paper receipts you have snapped. You can opt-out of the email receipt collection service at any time and no more email receipts will be captured after that point. Uninstalling Shoppix will not necessarily prevent any further collection of email receipt information. You need to opt-out of Shoppix Online, the receipt collection service, or deactivate Shoppix participation within Shoppix settings to stop further collection of email receipt information. Further details of Shoppix Online, our e-receipt collection service is available here. Kantar Worldpanel uses the information that we collect to manage your Account(s). For example, Kantar Worldpanel, its Group Companies use the information you provide us and the purchase information we collect to track, process and fulfil Shoppix Rewards you earn [and to provide customer service]. In addition, Kantar Worldpanel may use this information to keep you informed of new features and product developments as well as to provide more relevant offers to you. Kantar Worldpanel will do so by sending you email, text messages or by in-application notifications. We will publish summarised reports about Shoppix research. These reports will not personally identify you or members of your household.These reports only include aggregated information, and never include information which could be used to identify you. Shoppix may invite you to opt-in to Shoppix Online, our e-receipt collection service which makes participation easier and provides you with extra Rewards. You do not have to opt-in to this service to continue participation on Shoppix and you can opt-out of it at any time. To opt-in to this service you will be required to grant Shoppix access to your e-mail account(s) including all historic emails held in your inbox and any subfolders. Once permission is granted, a third-party vendor will have access to all your emails (including their content) and will be able to automatically collect information about purchase transactions from your email receipts including details of what was purchased, the store/provider from which the goods/services were purchased, the amount spent and the date of purchase. The third-party vendor will do this by searching for specific search terms (such as names of known stores) in your email. We will publish summarised reports about Shoppix research. These reports will not personally identify you or members of your household. These reports only include aggregated information, and never include information which could be used to identify you. We have certain security measures in place, in line with industry standards, to protect your personal data against loss, misuse, and/or alteration. However, no security system is impenetrable. Unfortunately, the transmission of information via the internet is not completely secure. Although we will take reasonable steps to protect your personal data, we cannot guarantee the security of your data held by us; any sharing with us is at your own risk.Where Kantar Worldpanel have given you (or where you have chosen) a password which enables you to access Shoppix, you are responsible for keeping this password confidential and not to share your password with anyone. The Data Protection Act 1998 (the "DPA") gives you the right to access, amend, port, erase, restrict processing of and withdraw consent to the use of your personal information. d. wish to withdraw consent for us to use your personal information. Where you inform us that you wish to exercise any of these rights we shall respond within 30 days. Where you inform us that you no longer wish your information to be used in the manner set out in this Policy, this may impact your ability to continue as a participant of Shoppix. Further, if your information changes or if you have any queries about how we use your information, please let us know by contacting Kantar Worldpanel as set out above. a. On iPhone - press and hold the application until a cross appears in the left-hand corner of the icon. Select the cross to delete the application. The Data Controller is Kantar UK LTD trading as Kantar Worldpanel. Our registered address is Kantar Worldpanel, Westgate, London W5 1UA (company number 3073845). Shoppix may invite you to opt-in to Shoppix Online, our e-receipt collection service which makes participation easier and provides you with extra rewards. You do not have to opt-in to this service to continue participation on Shoppix and you can opt-out of it at any time. To opt-in to this service you will be required to grant Shoppix access to your e-mail account(s) including all historic email held in your inbox and any subfolders. Once permission is granted, a third-party vendor will have access to all your email (including their content) and will be able to automatically collect information about particular types of transactions contained within them, for example, about products or services that you have purchased. The third-party vendor will do this by searching for specific search terms (such as names of known stores) in your email. You can find more information about what is collected in our FAQ. You can opt-out of the e-receipt collection service at any time and no more e-receipts will be collected after that point. Uninstalling Shoppix will not necessarily prevent further collection of e-receipt information. You need to opt-out of Shoppix Online, the e-receipt collection service, or deactivate Shoppix participation within Shoppix settings to stop further collection. 3. HOW DOES KANAR WORLDPANEL USE YOUR INFORMATION? 4. HOW DOES KANTAR WORLDPANEL SHARE YOUR INFORMATION? We have certain security measures in place, in line with industry standards, to protect your personal data against loss, misuse, and/or alteration. However, no security system is impenetrable. Unfortunately, the transmission of information via the internet is not completely secure. Although we will take reasonable steps to protect your personal data, we cannot guarantee the security of your data held by us; any sharing with us is at your own risk. Where Kantar Worldpanel have given you (or where you have chosen) a password which enables you to access Shoppix, you are responsible for keeping this password confidential and not to share your password with anyone. To advise of any changes, please visit Contact Us section of the user website or see the “How to Contact us” section below. We never knowingly invite children under the age of 16 years to participate in studies without consent. If it is necessary and appropriate to a particular project to directly involve children under the age of 16 years, we take measures to ensure we have been given permission by the responsible adult. The User may exercise the rights defined above by contacting Kantar Worldpanel, via the "Contact Us" section of the website (www.shoppixapp.com), or the details in the “How to Contact Us “section below. If we materially change this Policy, we will take steps to inform you of the change. We may do this through an in-application notification or another appropriate method of contacting you. The Data Protection Act 2018 (the "DPA") gives you the right to access, amend, port, erase, restrict processing of and withdraw consent to the use of your personal information. Kantar Worldpanel tries to meet the highest standards when collecting and using personal information. We encourage people to bring it to our attention if they think that our collection or use of information is unfair, misleading or inappropriate. Account is an account which you establish with Shoppix. 1.3 You may not accept the Terms if (a) you are under 18, or (b) you are not a permanent resident of the United Kingdom. 2.3 You agree that KANTAR WORLDPANEL will provide you with notifications within the Shoppix App, by email, regular mail, or any appropriate method. 2.4 Kantar Worldpanel or its Partners will send you communications related to your participation in Shoppix, including reward opportunities and surveys. 2.5 KANTAR WORLDPANEL or its Partners will reward your participation in Shoppix in the form of tokens. These tokens, the rewards they can be exchanged for and how rewards are provided are described at Shoppix Rewards and are subject to change without prior notice to you. KANTAR WORLDPANEL and its Partners reserve the right to deactivate participation on Shoppix. Deactivated participants will no longer receive tokens or rewards and any remaining tokens will become expired. 2.6 Reward orders are made within the Shoppix App with a minimum order value of £5. 2.7 You agree that nothing in these Terms creates an employee relationship with either KANTAR WORLDPANEL - or its Partners, nor are the Terms intended to do so. 3.1 KANTAR WORLDPANEL and its Partners will provide you with the Shoppix App to enable you to capture digital images of receipts you or other members of your household receive for purchasing goods or services. Details of the receipts we require you to snap are described in What are valid receipts? Your use of the Shoppix App is subject to these Terms and to any applicable terms between you and KANTAR WORLDPANEL's Partners. 3.2 You will use the Shoppix App only for the purposes of Shoppix participation and in accordance with applicable law. 3.4 You agree to follow all instructions provided by KANTAR WORLDPANEL or its Partners for the installation, maintenance, and use of the Shoppix App. 3.5 You will not engage in any activity that interferes with or disrupts the Shoppix App (or the servers and networks that are connected to the Shoppix App). 3.6 Unless you have been specifically permitted to do so in a separate agreement with KANTAR WORLDPANEL or its Partners, you will not reproduce, duplicate, copy, sell, trade, or resell the Shoppix App or any associated materials. 3.7 The Shoppix App may automatically download and/or install updates from time to time. Upon request, you agree to consent to all such updates as soon as practicable. 4.1 You are responsible for maintaining the confidentiality of passwords associated with your participation on Shoppix. You must not share your login details with others. 4.2 If you become aware of any unauthorised use of your password or of your Shoppix account, you agree to notify KANTAR WORLDPANEL immediately. Applicable contact information and instructions will be provided to you as part of your participation in Shoppix. 5.1 KANTAR WORLDPANEL (or KANTAR WORLDPANEL's licensors) own all legal rights, title, and interest in and to Shoppix, including any intellectual property rights in Shoppix (whether those rights happen to be registered or not, and wherever in the world those rights may exist). 5.2 You will not remove, obscure, or alter any proprietary rights notices (including copyright and trademark notices) that may be affixed to or contained within the Shoppix App or associated materials. 5.3 Unless you have been expressly authorised to do so in writing by KANTAR WORLDPANEL or its Partners, you will not use any trademark, service mark, trade name, or logo of any company or organisation in a way that is likely or intended to cause confusion about the owner or authorised user of such marks, names, or logos. 6.1 Subject to these Terms, KANTAR WORLDPANEL gives you a limited, personal, revocable, worldwide, royalty free, nonassignable, non­sublicensable, and non­exclusive license (to the extent of its rights) to use the Shoppix App for the sole purpose of enabling you to participate in Shoppix. 6.2 You may not (and you may not permit anyone else to) copy, modify, create a derivative work of, reverse engineer, decompile, or otherwise attempt to extract the source code of the Shoppix App or any part thereof, unless this is expressly permitted or required by law, or unless you have been specifically told that you may do so by KANTAR WORLDPANEL or its Partners in writing. 7.1 These Terms are in force until terminated by either you or KANTAR WORLDPANEL as set forth below. 7.2 If you want to terminate your participation in Shoppix, you may do so by deactivating your participation within Settings and uninstalling the Shoppix App, or as otherwise specified by KANTAR WORLDPANEL. Any remaining reward tokens may become expired. A subsequent login to your account will re-enable participation and implied continued acceptance of these Terms. 7.4 KANTAR WORLDPANEL may terminate your participation in Shoppix, and the Terms that govern your participation, for any reason and at any time, with notice as set forth in Section 2.3 above. 7.5 Upon termination or expiration of these Terms, you will uninstall the Shoppix App in the manner KANTAR WORLDPANEL or its Partners specify. 7.6 Sections 1, 2.3, 2.7, 3.2‑3.6, 5.2, 5.3, 6.2, 7‑9 and 11 will survive any termination of these Terms. 9.2 SOME JURISDICTIONS PROVIDE FOR CERTAIN WARRANTIES, LIKE THE IMPLIED WARRANTY OF MERCHANTABILITY, FITNESS FOR A PARTICULAR PURPOSE, AND NON­INFRINGEMENT. TO THE EXTENT PERMITTED BY LAW, WE EXCLUDE ALL WARRANTIES. 9.3 YOU EXPRESSLY UNDERSTAND AND AGREE THAT YOUR PARTICIPATION IN SHOPPIX IS AT YOUR SOLE RISK AND THAT THE SHOPPIX APP IS PROVIDED "AS IS" AND "AS AVAILABLE." 10.1 WHEN PERMITTED BY LAW, KANTAR WORLDPANEL, AND KANTAR WORLDPANEL's SUPPLIERS, DISTRIBUTORS, AND PARTNERS, WILL NOT BE RESPONSIBLE FOR LOST PROFITS, REVENUES, OR DATA, FINANCIAL LOSSES OR INDIRECT, SPECIAL, CONSEQUENTIAL, EXEMPLARY, OR PUNITIVE DAMAGES. 10.2 TO THE EXTENT PERMITTED BY LAW, THE TOTAL LIABILITY OF KANTAR WORLDPANEL , AND ITS SUPPLIERS, DISTRIBUTORS, AND PARTNERS, FOR ANY CLAIMS UNDER THESE TERMS, INCLUDING FOR ANY IMPLIED WARRANTIES, IS LIMITED TO THE AMOUNT PAID OR PAYABLE BYKWP TO YOU FOR YOUR PARTICIPATION IN SHOPPIX. 10.3 IN ALL CASES, KANTAR WORLDPANEL, AND ITS SUPPLIERS, DISTRIBUTORS, AND PARTNERS, WILL NOT BE LIABLE FOR ANY LOSS OR DAMAGE THAT IS NOT REASONABLY FORESEEABLE. 12.1 Sometimes when you participate in Shoppix you may (as a result of, or through your participation in Shoppix) use a service or product, or download a piece of software, that is provided by another person or company. Your use of these other services, products and software may be subject to separate terms between you and the company or person concerned. If so, these Terms do not affect your legal relationship with these other companies or individuals. 12.2 You agree that you are solely responsible for (and that KANTAR WORLDPANEL and its suppliers, distributors and Partners have no responsibility to you or to any third party for) any breach of your obligations under these Terms and for the consequences (including any loss or damage which KANTAR WORLDPANEL may suffer) of any such breach. 12.3 These Terms constitute the whole legal agreement between you and KANTAR WORLDPANEL and govern your participation in Shoppix (but excluding any services that KANTAR WORLDPANEL may provide to you under a separate written agreement), and completely replace any prior agreements between you and KANTAR WORLDPANEL in relation to Shoppix. 12.4 Neither party will be treated as having waived any rights by not exercising (or delaying the exercise of) any rights under these Terms. 12.5 If any term (or part of a term) of these Terms is invalid, illegal, or unenforceable, the rest of the Terms will remain in effect. 12.6 Each member of the group of companies of which KANTAR WORLDPANEL is the parent will be third party beneficiaries to these Terms and those other companies will be entitled to directly enforce, and rely upon, any provision of these Terms that confers a benefit on (or rights in favour of) them. Other than this, no other person or company will be third party beneficiaries to the Terms unless otherwise agreed in writing. 12.7 These Terms do not confer any benefits on any third party unless they expressly state that they do. 12.8 ALL CLAIMS ARISING OUT OF OR RELATING TO THESE TERMS OR SHOPPIX PARTICIPATION WILL BE GOVERNED BY ENGLISH LAW AND THE PARTIES SUBMIT TO THE EXCLUSIVE JURISDICTION OF THE ENGLISH COURTS. 13.1 The Shoppix Prize Draw (“Prize Draw”) is run by TNS UK Limited trading as Kantar Worldpanel (“KANTAR WORLDPANEL”), Westgate, London, W5 1UA. 13.2 Apple is not a sponsor of nor involved in the Prize Draw in any way. 13.3 Each scratchcard you reveal between 00:00:00 Sunday to 23:59:59 Saturday gains you one entry into the weekly Prize Draw at 15:00:00 on Sunday (all times GMT). 13.4 Scratchcards can be gained by completing surveys and sending receipts in consecutive weeks. 13.5 Any ambiguity or inconsistencies regarding entries and qualification for the Prize Draw shall be decided by KANTAR WORLDPANEL. 13.6 Prizes are randomly allocated to a set number of entries according to the prizes available. Prizes available for the next Prize Draw are published at the top of this page. 13.7 All entries have an equal chance of winning. 13.8 Token prizes are automatically paid into the winners’ Shoppix account. 13.9 Prize winners’ names are published on this page every Monday. 13.10 The Prize Draw is only open to people aged 18 or over. 13.11 KANTAR WORLDPANEL reserves the right at any time and from time to time to modify or discontinue, temporarily or permanently, this Prize Draw with or without prior notice. The decision of KANTAR WORLDPANEL in all matters under its control is final and binding and no correspondence will be entered into. 1.3 You may not accept the Terms if (a) you are under 16, or (b) you are not a permanent resident of the United Kingdom. 2.3 You agree that KWP will provide you with notifications within the Shoppix App, by email, regular mail, or any appropriate method. 2.7 Employees of Kantar Worldpanel or its Partners are prohibited from participating in Shoppix. You acknowledge that you are not a KWP employee (or an employee of a Partner) and you agree that nothing in these Terms creates an employee relationship with either KWP or its Partners, nor are the Terms intended to do so. 3.1 KWP and its Partners will provide you with the Shoppix App to enable you to capture digital images of receipts you or other members of your household receive for purchasing goods or services. With your explicit prior consent, The App will also recognise and extract information from e-mail receipts you may receive. Details of the e-mail receipt collection service are available in Email Receipt Collection. Details of the receipts we require you to snap and send are described in What are valid receipts? Your use of the Shoppix App is subject to these Terms and to any applicable terms between you and KWP’s Partners. 5.1 KWP (or KWP’s licensors) own all legal rights, title, and interest in and to Shoppix, including any intellectual property rights in Shoppix (whether those rights happen to be registered or not, and wherever in the world those rights may exist). 5.3 Unless you have been expressly authorised to do so in writing by KWP or its Partners, you will not use any trademark, service mark, trade name, or logo of any company or organisation in a way that is likely or intended to cause confusion about the owner or authorised user of such marks, names, or logos. 7.2 If you want to terminate your participation in Shoppix, you may do so by disabling your participation within Settings and uninstalling the Shoppix App, or as otherwise specified by KWP. Any remaining reward tokens will become expired. You will need to agree these Terms again should you wish to re-enable participation. 7.4 KWP may terminate your participation in Shoppix, and the Terms that govern your participation, for any reason and at any time, with notice as set forth in Section 2.3 above. 7.5 Upon termination or expiration of these Terms, you will uninstall the Shoppix App in the manner KWP or its Partners specify. How do I create a Shoppix account? When you download Shoppix you will be taken to a registration page. Once you complete the form, you will receive an email asking you to validate your account. Once validated you can start using Shoppix! Why do I need to complete a profile? Every Shoppix user completes a short profile survey for which you collect tokens and a scratchcard. Coupled with the receipt images you send, the profile information helps to provide insights into consumer behaviours and also enables us to send you specific tailored surveys (for which you can collect more tokens). Please be reassured that no individual can ever be identified from our research data and no personal information is sold or passed on to any 3rd party without your prior consent. If your household circumstances or contact details change, you can update your profile by going to the Settings page on the home screen, then selecting 'My account'. After completing a password check, you can change profile details such as your profession and any household membership changes by selecting 'Update Profile Survey'. We will ask you to check your profile from time-to-time to ensure it is up-to-date. Can other members of my household join Shoppix? Yes, other family members aged 18 and over that live with you can also download Shoppix. I have a new phone. Do I have to start over again? No, you simply need to download Shoppix on your new device, and login with your email and password to continue using Shoppix. Please be aware of the devices that Shoppix is compatible with. I haven't received my verification email, what do I do? Please check in your junk mail. If you still cannot find it please register again as this will resend the verification email. What devices is Shoppix compatible with? Shoppix is available to download in the Apple App Store or Google Play Store. It is free to download and will work on iPhones (iOS version 9.3.5 and above) and all Android smartphones (OS versions 4.2 and above). It is currently not compatible with Windows or Blackberry devices, or tablets/iPads. We are looking to support tablets in the future, so watch this space! What do I have to do to on Shoppix? Using Shoppix, you simply need to snap all the valid receipts you and your household receive for purchasing goods or services. You also will need to create a profile and will also regularly be invited to complete short surveys. For doing this you collect tokens which can be exchanged for rewards. What data is collected from my mailbox in the Shoppix Online trial? When you sign up to the Shoppix Online trial, and grant access to your email account(s), we’ll identify e-receipts in your mailbox(es) and collect some information from them. We’ll collect information from your e-receipts on occasions where you have ordered or paid for goods, or services, across a range of approved merchants including what you bought, the store/provider that you bought goods or services from, the amount spent, and the date of purchase. This collection will cover both new and old emails contained in both your main inbox, and any subfolders. We’ll also collect information on occasions where you have subsequently cancelled a previous order. What happens to the information collected from my mailbox? How far back does the Shoppix Online review go? Once registered, Shoppix Online carries out a retrospective review of your connected mailbox(es). This review collects information from your e-receipts from up to 1 year ago. You are awarded a one-off 200 bonus tokens for connecting to Shoppix Online, including for all valid e-receipts collected from approved merchants within the last 7 days. This happens each time you grant access to Shoppix Online. For example, if you disconnect and subsequently reconnect to Shoppix Online by granting read access again, then another 1-year review of your mailbox will be completed. You will only receive tokens for e-receipts which come from merchants on our approved retailers list, so if it is not displayed in your receipts list in the app then we have not collected the e-receipt most likely because it is not from an approved merchant. We are approving new merchants daily, so this may change. However please note that we do not collect e-receipts related to travel, accommodation, and events. You can cancel your subscription and switch off collection by opting out of the Shoppix Online trial at any time. To do this, please visit the “Manage Shoppix Online” screen in the “Settings” section of the App to cancel your registration. You can re-join the Shoppix Online trial again at any time to switch collection back on, but please note you will be required to grant Shoppix access to both new and old email held in your inbox and any subfolders again. The reason will be displayed in the App against the e-receipt in your receipts list. If you do not believe this is the case, please let us know. Why have I not been invited to join the Shoppix Online trial? Currently, Shoppix Online is an invitation-only trial. We are inviting selected users all of the time, so please continue snapping as usual, and see our FAQs on how to submit online shopping receipts while you wait for your invitation to the Shoppix Online trial. How many e-receipts per week do I get rewards for? You can collect 25 tokens for each of the first 4 valid e-receipts every week, with a daily limit of 1 e-receipt per store, per day. How are my email and password information stored? Who has access to this information? E-receipts and passwords are always encrypted and treated with the highest levels of security. Users are reminded to always use different passwords online, using a mix of alphanumeric and special characters and to always keep them safe. 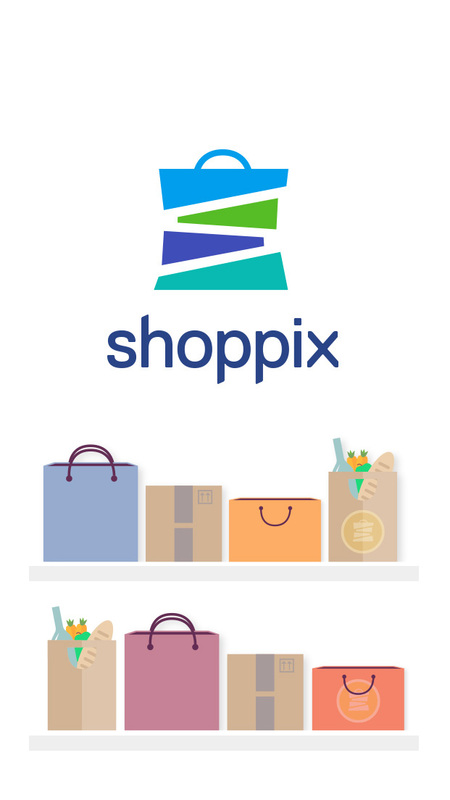 Tokens are the currency of Shoppix and are awarded for snapping receipts and completing surveys. The more tokens you collect the more you can exchange for vouchers or money. What can I redeem my tokens for? Tokens can be exchanged for Vouchers or cash via a PayPal account once you have reached the minimum qualifying levels of £5 worth of tokens. Voucher options include Amazon, iTunes and Love 2 Shop. The reward options can change from time to time; you can check the latest information in the “Rewards” section of Shoppix. How do I know my tokens have been awarded? All tokens awarded are credited immediately and are visible in your account in the rewards section of Shoppix. What value are reward tokens? The redemption value of your reward tokens depends on the reward option you select. 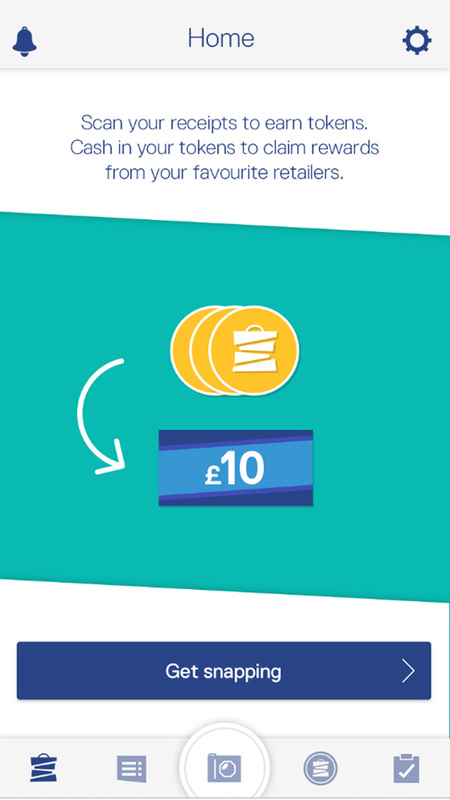 You can redeem tokens for cash via PayPal account or vouchers of £5, £10, £20. Shoppix users are awarded electronic scratchcards on Shoppix which can be scratched to win bonus tokens. Scratchcards are awarded for completing surveys and for snapping receipts in consecutive weeks. We award one scratchcard for completing two consecutive weeks and two scratchcards for completing three or more consecutive weeks. Both winning and losing scratchcards gain entry into a weekly prize draw with bigger prizes up for grabs! All revealed winning or losing scratchcards gain an entry into a weekly prize draw every Monday at 8am (GMT) with large prizes up for grabs. Recent winners are displayed in the rewards section. How do I gain shopping bags and move up shelves? Every week you snap your first valid receipt you light up a shopping bag on a shelf. When that shelf is full you move up to a higher shelf! It takes four bags to fill a shelf, except our first and second shelves which takes just one and two bags to fill. How can I redeem my tokens? To redeem tokens you can click on the Shoppix icon which will take you to the ‘rewards’ page. This will show you all the tokens and vouchers you can redeem. Tokens can be exchanged for Vouchers or cash via PayPal. The reward options can change from time to time; you can check up-to-date information in the “Rewards” section of Shoppix. On Shoppix, you will be invited to complete surveys about general topics and also specific surveys triggered by the receipts you snap. For completing surveys you will be awarded tokens and a scratch-cards. How do I get surveys? You will receive a notification that a new survey is available for you to complete. These could be general surveys or specifically selected surveys tailored to you and the receipts you have snapped. Go to the “Surveys” section of the Shoppix App to see the history of Surveys sent and completed and any active Surveys ready to complete now. You will receive reminders for active surveys left to complete before they expire. Why haven't I received my voucher email confirmation yet? All voucher email confirmations are sent to your Shoppix registered email address. If you would like your voucher sent to a different email account, please update your email address in Shoppix before ordering the voucher. PayPal orders are credited to your Shoppix registered email address. If your PayPal account is set up under another email address, you can link your Shoppix registered address to your PayPal account to receive your credit (see PayPal FAQs for instructions), or you can update your email address in Shoppix before you redeem your tokens. How do I snap a receipt? Snapping receipts is simple! All you need to do is click on the ‘camera’ icon located at the bottom of the home screen. Select the receipt size option and press the photo button to snap the receipt. If you have a longer receipt, for iPhones hold down the photo button whilst moving your device to snap all the items on the receipt. To snap long receipt on Android phones, snap multiple images and use the transparent guide to line them up and stitch them together. If you are unhappy with the image you have the option to ‘retake’. When should I snap my receipts? Please snap your receipts as soon as possible after you receive them. There are bonus tokens on offer for receipts snapped on the same day of the shopping trip or purchase. Receipts will not be approved if they are more than 7 days old. What is the daily store limit? You collect tokens for the first approved receipt you snap from each different store each day. What is the weekly receipt cap? You can send as many receipts per week as you like, and you will receive tokens for the first 30 approved receipts. The cap is calculated over the previous 7 days rather than a fixed Monday to Sunday. What is a valid receipt? The individual items or services paid for and the total price paid. You collect tokens for the first approved receipt you snap from each different store each day and for the first 30 approved receipts every week. If in doubt, please snap the receipt but note that some receipts may not be approved or generate tokens if they do not fit these conditions. It is possible to challenge rejected receipts. What happens if I cannot snap receipts for any reason? Users who do not regularly snap valid receipts will receive reminders and if after a while they remain inactive, then they will be considered as non-users. If you cannot snap receipts for any extended period due to phone problems, etc. then you can contact the Shoppix helpdesk who can temporarily pause participation until you are ready to start again. My receipt has been rejected, how do I challenge this? It is possible for you to challenge a receipt we have not approved. This could be because we have incorrectly transcribed the shop/service provider you have visited, or you want to challenge an occasion when we have not approved the validity or quality of a receipt. If the challenge is successful, the receipt details or status will be updated and any tokens owed will be rewarded. What kind of receipts can I upload? Shoppix will allow you to snap all itemised receipts - this can be from restaurants, shops, attractions etc. But please note we do not approve bus or train tickets. Do you accept non-UK receipts? We only accept receipts for goods or services paid for within the UK (including Northern Ireland). Is there any limit to the number of receipts I snap? There is no limit to the number of receipts you snap and you are encouraged to snap all valid receipts you and your household receive. You will collect tokens for each of the first 30 distinct, valid receipts you send every week, with every single receipt snapped potentially triggering a survey. All surveys have tokens and a scratchcard on offer for completion. How many receipts from the same store on the same day earn tokens? You collect tokens for the first approved receipt you snap from each different store each day. Additional approved receipts snapped from this store do not earn tokens but could trigger surveys. The date on my receipt isn’t appearing correctly, how do I challenge this? Very occasionally, stores use a different date format on their receipts, and our systems cannot read the information as expected. If this happens to you, you can challenge this. If the challenge is successful, the receipt details and/or status will be updated and any tokens owed will be rewarded. Can I send my receipts via Wi-Fi Only? Yes, to save your phone’s data allowance you can go to the “Settings” cog symbol within Shoppix and set your device to "Only send receipts via Wi-Fi" using the switch button. Can I leave Shoppix at any time? To maximise your rewards we encourage you to keep snapping receipts and completing surveys each week, however if you wish to leave Shoppix you can contact the Shoppix helpdesk or deactivate your account in “Settings”. Please note after deactivating you will need to re-register to recommence participation. Can I use Shoppix on multiple devices? Yes you can use Shoppix on multiple devices using the same login, but notifications will only be received on the device used last. Please note that logging into a second device will log you out of the first device. How much memory does Shoppix take up? Shoppix takes up just 46.0 MB of memory on your Apple device or 49.5 MB on your Android device. What if I don't want to receive surveys? To maximise your rewards we encourage you to complete all surveys received. If you do not wish to receive surveys, please let us know by contacting the Shoppix Helpdesk. Occasional surveys are required as part of your Shoppix membership and you will still receive these e.g. to update your household details. What changes have been made to the application? We continuously are enhancing the app to improve your experience with the app. You can click here to see what changes have been made. © 2017 Shoppix. All Rights Reserved.